Back Row (left to right): Jonathan Fahy, Ronan O Meara, Niall Hayes, Conor Barry, Peter Smith, Patrick Dolphin, Ciaran Treacy, Michael Ward, Ronan Hayes, James Coughlan, Owen Treacy, Michael Ryan, Gareth Heagney, Conor O Hare, Niall Concannon, Colin Burke, Ivan Canning, Johnny Keane. Front Row (left to right): Adrian Loughnane, Eugene McEntee, Oisin Royston, Joe Keane, Joe Canning, Martin Dolphin, Ollie Canning, Leo Smith, Andy Smith, Kevin Hayes, Eoin Lynch, Damien Hayes. Front row: (left to right) Liam Kelly, Shane Lawless, Michael Donohue, Brian Molloy, Tony Molloy, Eamon Hyland, Alvin Mitchell, Damien Donoghue, Kevin Boyle, Mark Kelly, Padraig Stapleton, Paul Howard. Mascots, Lauren Boyle, Kayn Boyle, Daniel Hyland. Back row: (left to right) Liam Geragthy, David Tierney, Tom Tierney, Darragh O'Donoghue, Brian Gardiner, Garry Winters, David spellman, Colin Moran, Aiden Spaight, Dara Herlihy, Patrick Deely and Mark Herlihy. 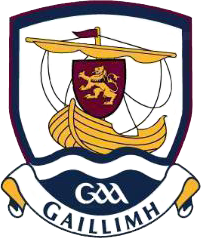 Front Row: (left to right) Tomais Ó Fatharta, Dara Flatharta, Padraig Eoin Ó Curraoin, Tadhg Ó Caoimh, Liam Ó Conghaile, Stiofán Ó Fátharta, Cillín Ó hEochaidh, Pádraig Ó Mainín, Aodán Ó Curraoin, Oisín Ó Conghaile, Macdara Ó Conaola, Fergus Ó Tuathail, Padraig Ó Conghaile, Diarmuid Ó Duinn. Back Road: (left to right) Naoise Ó Conaola, Brian Mac Cathmhaoil, Fiontán Ó Cuanaigh, Cathal Ó Flatharta, Peader Ó Neachtain, Ciarán Breathnach, Fergal Ó Mainín, Michael Ó Duinn, Maghnus Breathnach, Micheál Ó Curraoin, Eoin Ó Droighnrán, Sean Ó Curraoi, Éinne Ó hEochaidh, Máirtín Ó Droighneán, agus Dónal Ó Fátharta. Front Row: (left to right) Paul J. Forde, Alan Carr, Cathal Connolly, Mark Coen, Brian Moran, Alan Huban, Noel Conlon,Joe Egan, Brian Carr, Mike Stankard, Kevin Joyce, Michael Forde, Declan Carr, Noel Quinn. Back Row: (left to right) Peter Burke, Pat Collins (Manager) Kevin Flynn, Enda Armstrong, Brendan Murphy, Shane Egan, Gary Gearghty, Martin Finn, Aidan Quinn, Ciaran Niland, Joe Niland, Clinton Madden, Hughie Forde, Andrew Walsh, Shane Connors, Shane Cormican, Eamon Corless, Fergal Egan, Conor Armstrong, Shane Heavey, Pat Burke and Tim Daly. Front row, left to right : Conor Cooney, Gary Moylan, Colin Fallon, Conor Fahy, Anthony Kelly, Darragh Burke, Sean Skehill, Shane Cooney, Paul Brady and Eoin Kelly. Back row, John Massey, Eoin Daly, Ross Caswell, Michael Fallon, Gerald Kelly, Thomas Mitchell, Brendan Farrell, Eanna Burke, David Sherry, Ronan Devine, Joseph Caulfield and Stephen Murray. Front row : James Hurley, James Brannigan, David Derrane, Eoin Kennedy, Darragh Joyce, Darragh Sweeney, Joseph McNamara, Colin Hanbury, Rory Coyle, Jack Walsh, Brian Hyland, Eamon Brannigan. 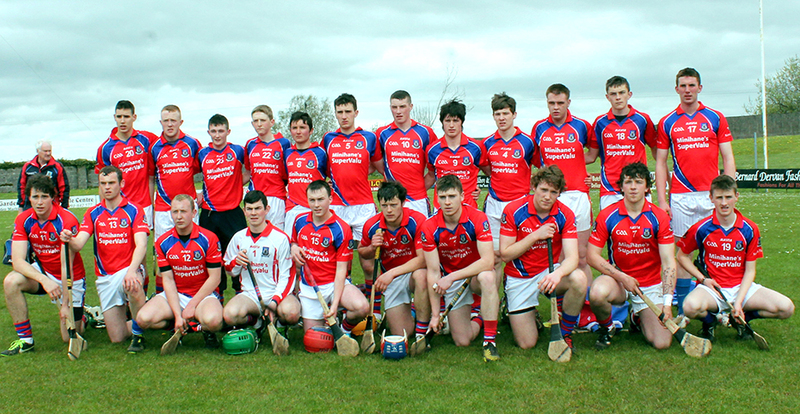 Back row, left to right : Kevin Derrane, Enda Gavin, Andy Dunne, Kenneth King, John Hanbury, William Mackey, Brian Madden, Michael Collins, Joe Curtin, Enda Rice, Conor O Shea, Gavin Hayes. Back Row, left to right : Alan Madden, Garry Keane, David Daly, Ryan Hanrahan, Gary Heagney, Shane Scully, Liam Fahy, Con Kelly, Dermot Duffy (Capt. ), Jack Brien, Conor Mullins, Sean O Grady, Brian Gohery, Brian Duffy, John Larkin (Selector), Martin Kelly (Selector). Front Row : Damien Gibbons (Manager), Kieran Callagy, Johnny Callanan, Sean Callagy, Joey Starr, James McEvoy, Eoin Shiel, Cillian O Hara, Stephen Kelly, Gavin Ryan, Liam Gordon (Selector). Conor Phillips, Brian Callanan, Damien Holland, Cillian Hurney, Sean Linnane, Gearoid Linnane, Richard Doyle, Vincent Doyle, Keith Herwood, Damien Culkeen, Cathal Whelan, Mascot Matthew Hession. 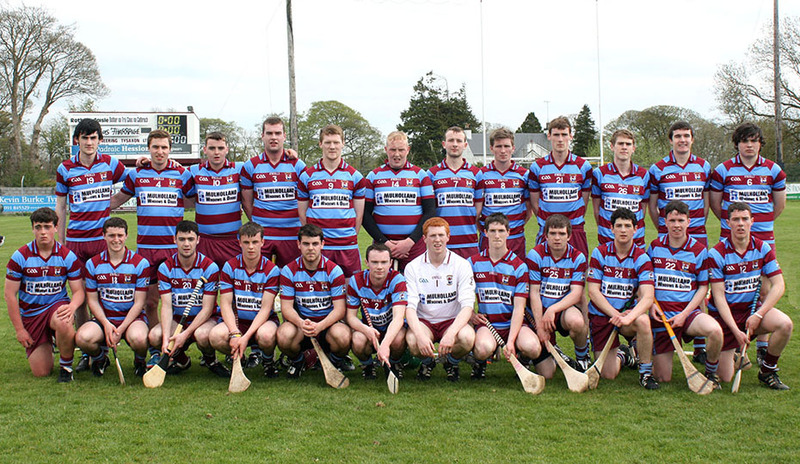 Back Row (left to right): Ross Gorey, Mark Ryan Keane, Nathan Collins, Robert Butler, Ciaran O'Dwyer, Eoin Kennedy, David Walsh, Joe Curtin, Enda Rice, Cuan Caffery, Kevin Derrane, Mickey Connaughton and Peter Killeen. Front Row (left to right): Colin Hansbury, Sean Burke, Cathal Keane, Shane Maloney, Andy Dunne, Joe McNamara, Jack Walsh, Eamon Brannigan, David Mannion, Shane Kelly and Aidan Hawkins.